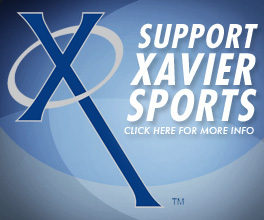 The Xavier girls soccer team lost to Iowa City West, 3-1, in a battle of premier Mississippi Valley Conference clubs at Xavier Tuesday. The Saints took a 1-0 lead on a goal by Caitlynn Daniels, with an assist from Addy Hoffman. West tied the game, 1-1, on a penalty kick late in the first half and added two goals in the second half for the victory. Melody Snow made 12 saves for the Saints. Xavier (10-4) is ranked No. 7 in Class 2A and Iowa City West (16-1) is No. 3 in Class 3A. Brady Donohue pitched six strong innings Monday night as the Marion Indians topped Xavier, 5-1, in the first round of the Bob Vrbicek Metro Baseball Tournament at Ken Charipar Field. Washington defeated Jefferson, 12-0, in six innings in the other first-round game at Xavier. Xavier and Jefferson will meet in a consolation game at Xavier Tuesday at 5 p.m., followed by the winners bracket semifinal game between Marion and Washington at 7 p.m.
Linn-Mar trimmed Mount Vernon, 4-3, in eight innings and Prairie defeated Kennedy, 6-2, in the first-round games at Prairie on Monday. Kennedy and Mount Vernon meet in a losers bracket game at 5 p.m. at Prairie Tuesday, then Prairie will face Linn-Mar in the winners bracket semifinal at 7 p.m. The final round is Wednesday with the championship and consolation games to be played at Veterans Memorial Stadium. The fifth and seventh-place games are slated for Xavier. WATERLOO - The Xavier Saints won both of their matches in Waterloo Monday and advanced to the semifinals of the Class 1A state tennis tournament. The Saints blanked Waterloo Columbus, 5-0, and trimmed Dubuque Wahlert, 5-4, to reach the final four of the state meet. The Class 1A state tournament will be held at the Waveland Tennis Courts in Des Moines May 30. Jon Lansing won both of his matches at No. 1 singles Monday for Xavier. Charlie Esker and Ryan Jasper also won twice. Xavier and Wahlert split their six singles matches, 3-3. Esker and Lansing won at No. 1 doubles, 7-5, 6-4, and Alex Hinrichs and Jasper prevailed at No. 2 doubles, 7-6, 6-1, to clinch the victory. Ellie Braksiek shot a 99 to lead the Xavier girls golf team at the Class 4A regional meet at St. Andrews Monday. Grinnell freshman Bella Amador-Lagson fired a 6-over-par 76 to claim medalist honors and lead her team to the regional title. Xavier finished eighth out of 10 teams. The Class 4A state meet will be held in Marshalltown May 30-31. 1. Grinnell 370, 2. Mount Pleasant 395, 3. Fairfield 396, 4. Central DeWitt 398, 5. Newton 404, 6. Maquoketa 409, 7. North Scott 412, 8. Xavier 414, 9. Clear Creek Amana 435, 10. Keokuk 522. XAVIER: Ellie Braksiek 99, Libby Kramer 102, Shelby Younggreen 105, Ana Stangler 108. DES MOINES - Katie Tallett of Xavier placed eighth in the 1,500-meter run in 4:52.23 at the Class 3A girls state track meet Saturday. Josh Gerke of Xavier finished ninth in the 800 in 2:00.96 at the Class 3A boys state meet.